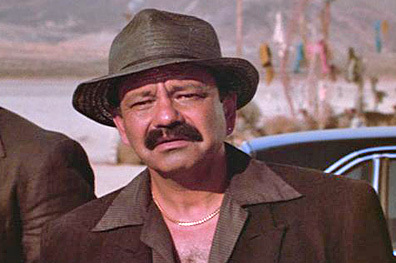 Marin in BORN IN EAST L.A.
Cheech Marin was born on July 13, 1946, in Los Angeles, California. 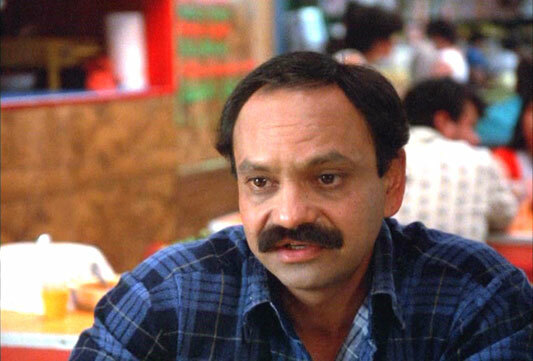 Cheech's birth name is Richard Marin. "Cheech" is derived from "chicharron" – a spicy fried pork skin snack. In the early 1970s, Cheech and Chong released a series of comedy albums that found much favor in the drug counterculture. UP IN SMOKE (1978), which brought them to the silver screen, became one of the highest-grossing films of that year. Cheech and Chong broke up the act, in 1985. Chong kept a low profile, starring in and directing FAR OUT MAN;(1990). Cheech moved on to write and direct BORN IN EAST L.A., in which he starred as well. 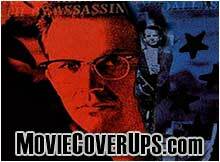 Marin hated golf until he co-starred in TIN-CUP; (1996). He is now an avid golfer. Among the top collectors of Mexican and Mexican-American art, Cheech has put together at least one book on the subject and supported the development of Chicano art on the West Coast. He was also the first Celebrity Jeopardy Champion. Cheech Marin in FROM DUSK TILL DAWN (1996). 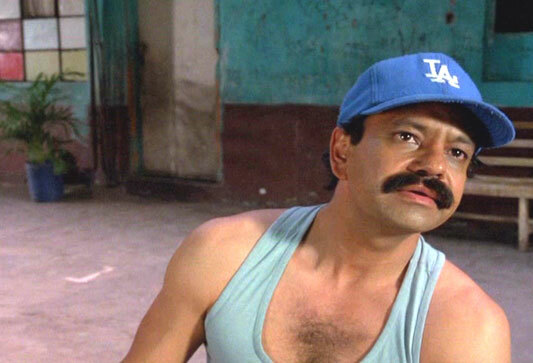 Cheech Marin in BORN IN EAST L.A. (1987).